I was recently reading a report by Rightmove that a North South Divide has started to appear in the UK property market – so I wanted to see if Medway was falling in line with those thoughts. In the North, there are 7.12% less properties on the market than 12 months ago, whilst in contrast, in the South, there are 14.7% more properties on the market than 12 months ago. Even closer to home, overall, the number of properties and building plots for sale in Medway has increased by 13%, going from 260 properties for sale a year ago to 295 properties for sale as I write this article, meaning Medway does in fact match the regional trend. 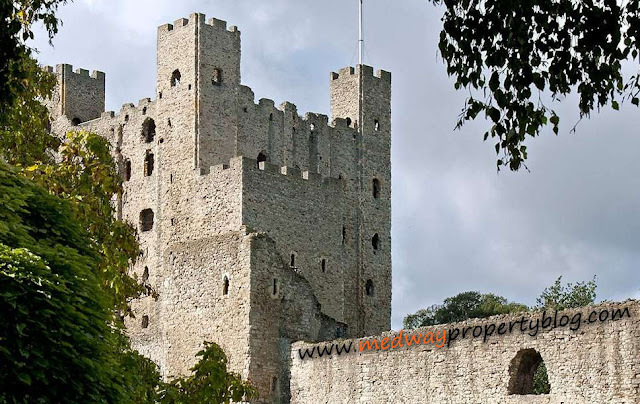 Looking at the individual types of Medway property, you can quite clearly see the different markets within Medway. The two sets of figures that stand out are the increase in Semi-detached homes for sale, rising 38% and the decrease in Apartments by 12%. Although these figures don’t tell the whole story because in certain areas of Medway, certain types of properties (particular locations and Primary school catchment areas) are in short supply. This has caused some frustration with buyers of those types of properties with this lack of supply, which in turn has sparked some very localised asking price growth within those hot spot areas, although sometimes to levels where sellers optimism turns into silly over the top asking prices. This means the property sticks, which isn’t sustainable, therefore as a consequence, there are certain parts of the Medway housing market with upward asking price movements being offset in part by intermittent asking price reductions where home owners or their estate agents have been over optimistic with their initial marketing asking price. What does this mean for homeowners and landlords in Medway? And if you are buying in Medway? The numbers of buyers are lower than a few years ago, although those buyers that are in the market have become quite serious. The times of time wasting “carpet treaders” (estate agency slang for the same type of people car dealers call tyre kickers) are long gone. Those buyers that are in the market are real buyers, wanting to buy, but only at the right price. We live in a 21st century society that is “time-poor” so nobody is wanting to even view a house, let alone pay over the odds if they believe the asking price is too high. So, if you are buying, do your homework, ask plenty of questions of the agent, find out the motivation of the sellers and the real reasons behind why they are moving ... and you might just bag a good deal? Don’t forget to visit the links below to view back dated deals and Medway Property News. Whether you are a Medway landlord looking to liquidate your buy to let investment or a homeowner looking to sell your home, finding a buyer and selling your property can take an annoyingly long time. It is a step-by-step process that can take months and months. In fact, one of the worst parts of the house selling process is the not knowing how long you might be stuck at each step. At the moment, looking at every estate agent in Rochester for example, independent research shows it is taking on average 37 days from the property coming on the market for it to be sold subject to contract. But trust me ... that is just the start of a long journey on the house selling/buying process. The journey is a long one and therefore, in this article, I want to take you through the standard itinerary for each step of the house selling procedure in Rochester. You need to instruct an estate agent (of course we can help you with that) who will talk through a marketing strategy and pricing strategy to enable you to find a buyer that fits your circumstances. 37 days might be the average in Rochester, yet as I have said many times, the Rochester property market is like a fly’s eye, split up into lots of little micro markets. Looking at that independent research, (which only focused on Rochester), it was interesting to see how the different price bands (i.e. different micro markets) are currently performing, when it comes down to the average number of days it takes to find a buyer for a property in Rochester. 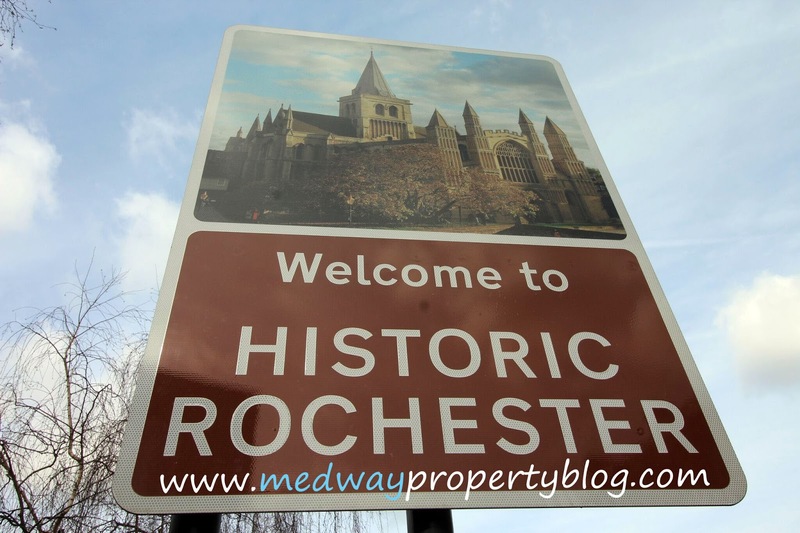 There are a variety of distinctive issues at play when selling your property in Rochester, together with the involvement of a wide and varied range of professionals who get involved in that process. That means there is are enormous differences in how long it takes from one property to another. Moving forward to the next steps, these are the average lengths of time it takes for each step to give you some idea of what to expect. If you are thinking of selling your Medway home or if you are a Medway landlord, hoping to sell your buy to let property (with tenants in), either way, if you want a chat to ensure you get a decent price with minimal fuss ... drop me a message or pick up the phone. Chatham Property Market – How Does It Compare Historically to the South East and National Property Market’s? Living in our own homes or owning buy to let property in Chatham and the surrounding areas, it’s often easy to ignore the regional and national picture when it comes to property. As a homeowner or landlord in Chatham, consideration must be given to these markets, as directly and indirectly, they do have a bearing on us in Chatham. Locally, the value of property in Chatham and the number of people moving remain largely steady overall, although looking across at the different regions, there are certainly regional variations. Talking to fellow property professionals in the posh upmarket central London areas of Mayfair and Kensington, the number of people looking to buy and registering interest with agents is continuing to climb after 18 months in the doldrums, whilst in other parts of the UK, there is restraint amongst both buyers and sellers in some locations. That means a Chatham homeowner has profited by an additional £92,258 over the last 20 years compared to the average homeowners across the country. I found it interesting to see the ups and downs of the Chatham, South East and National markets in this graph. How the lines of graphs roughly go in the same direction, with Chatham following the regional trend more closely than the national trend (as one would expect), how the 2007/08 property crash timings and effects were slightly different between the three lines and finally how the property markets performed in the post-crash years of 2011 to 2014 ... fascinating! So, what does this all mean for Chatham homeowners and Chatham landlords? Well, house prices going up or down are only an issue when you sell or buy. In the last 12 months, only 1,076,288 (let’s call it’s a straight million between friends!) properties changed hands out of27.2 million households in the UK in 2017, meaning only 3.7% would have been affected if property values had dropped in the last year. The combined value of Chatham’s housing market has risen by £291,855,520 in the last 6 months, meaning the average value of a Chatham property has increased in value by an average of £11,120. This is great news for Chatham homeowners and Chatham buy to let landlords, as property prices have risen despite a slight hesitation in the market because of the uncertainty over Brexit. As I have always said, investing in Chatham property, be it for you to live in or as a buy to let investment, is a long-term game. The RICS’s latest survey of its Chartered Surveyor members showed that nationally the number of properties actually selling has dropped for the 16th month in a row. Locally in Chatham, certain sectors of the market are matching that trend, yet others aren’t. It really depends which price band and type of property you are looking for, as to whether it’s a buyers or sellers market. The RICS also said its member’s lettings data showed a lower number of rental properties coming on to the market. Anecdotal evidence suggests that (and this is born out in the recent English Housing Survey figures) Chatham tenants over the last few years are stopping in their rental properties longer, meaning less are coming onto the market for rent. I have noticed locally, that where the landlord has gone the extra mile in terms of decoration and standard of finish, this has certainly helped push rents up (although those properties where the landlord has been remiss with improvements and standard of finish are in fact seeing rents drop). Chatham tenants are getting pickier – but will pay top dollar for quality. So much so, I believe there will be a cumulative rise of around fourteen to sixteen per cent over the course of the next five years in private rents for the best properties on the market. The fact is that over the last 6 months 376 properties have sold for a combined value of £94,455,712. 6 months ago, the total value of Chatham property stood at £6,586,040,010 (£6.59bn), and today it stands at £6,877,895,530(£6.88bn). In the short term, say over the next six months and assuming nothing silly happens in Korea, the Middle East or Brexit negotiations, it will be more of the same until the end of the year. In the meantime, the on-going challenges ensuring we as a Country build more homes (although the Office of National Statistics figures released in July showed nationally the number of new homes started to be built over the second Quarter of 2018 had dropped dramatically)makes me think that Chatham (and Nationally) property value is likely to maintain an upward trajectory as we go into 2019. Two final thoughts, firstly for all the buy to let landlords in Chatham (and indirectly this does affect all you Chatham homeowners too). I do hope the recent tax changes towards buy to let landlords don’t bite as deep as it is possibly starting to with certain landlords I know. We talked about this in an article a few weeks ago and I know why the Government wanted to change the balance by taxing landlords and providing a lift for first time buyers .. however, this may well come at the expense of higher rents for those Chatham tenants that don’t become first time buyers, as the appeal of buy to let potentially weakens. Secondly, even though values have increased, realistic pricing (i.e. the asking price) is still the key to achieving these figures… so if you are considering selling in the next 6 months – please bear that in mind. Over the last twenty years, there has been a shift in the way the Gillingham (and the UK’s) property market works. In the 1960’s, 70’s, 80’s and 90’s, a large majority of twenty somethings saved up their 5% deposit, went without life’s luxuries of going out and holidays etc., for a couple of years and then bought their first home with their hard earned savings. By 2000, 54.7% of Gillingham 25 to 29 years owned their own home (compared to 46% Nationally (and 76.4% of Gillingham 30 to 34 year olds in 2000 owned their own home – again compared to 64.2% nationally) whilst the remaining youngsters mostly rented from the Council and in some rare cases, privately rented. Now it’s 2018, and those levels of homeownership have slipped dramatically and now only 29.2% of Gillingham 25 to 29 year olds own their own home and 51.4% of Gillingham 30 to 34 year olds own their own home (interestingly mirroring the National picture of 24.5% for the younger age cohort and 64.2% for the older 30 to 34 year cohort). So, what does this all mean for the 4,383 Gillingham landlords? The days of making money in Gillingham buy to let with your eyes closed are long gone. 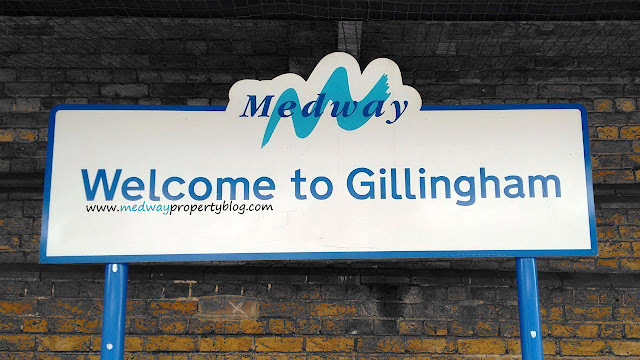 There are going to be testing times for Gillingham landlords, yet there is still a defined opportunity for those Gillingham landlords who are willing to do their homework and take guidance from specialists and experts. It’s all about looking at your Gillingham portfolio (or getting a property professional to do so) and ascertaining if your current portfolio, mortgage and gearing are designed to hit what you want from the investment (because that is what it is – an investment) in terms of income now and income in the future, capital growth and when you plan to dispose of your assets. I have seen many Gillingham landlords (both who use me and my competitors) to manage their rental property or find them tenants – and on many occasions recently, I have told them to SELL – yes sell some of their portfolio to either reduce mortgage debt or buy other types of property that match what they want in the short and long-term from their investments. I know that sounds strange – but my role isn’t just to collect the rent .. it’s also to give strategic advice and opinion on the landlord’s portfolio to help them meet their current and future investment goals. 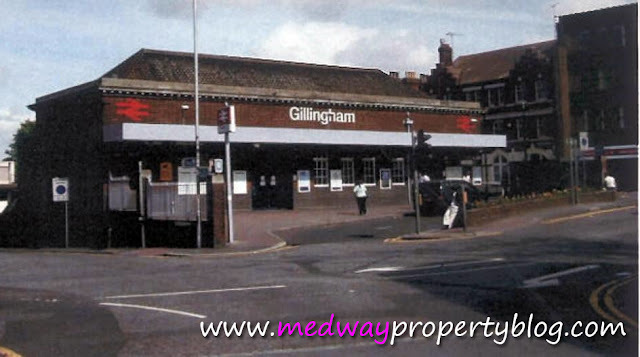 The opportunities will appear in the Gillingham property market for Gillingham landlords from gentler growth in property values linked with a restrained Gillingham property market, meaning if you put in the time, there will be deals and great bargains to have. Many landlords in Gillingham (both clients and non-clients) send me Rightmove links each week, asking my opinion on the suitability of the investment. Some are exceptional – whilst others are duds. The bottom line is, private renting will continue to outgrow first time buyers in the next 5 to 10 years and as we aren’t building enough homes in the UK, which means rents can only go in one direction – upwards! What Will Happen to Chatham Property Values Now Interest Rates Have Risen?